On 1 January 2009 Pencarrow Lighthouse at the entrance to Wellington Harbour celebrated its 150th anniversary. New Zealand’s first permanent lighthouse, Pencarrow was also home to this country’s first – and only – female lighthouse keeper, Mary Bennett. The lighthouse was an essential safety aid for vessels visiting the harbour, but Wellington settlers had to struggle for years to get it built; many ships and lives were lost before it was finally opened in 1859. 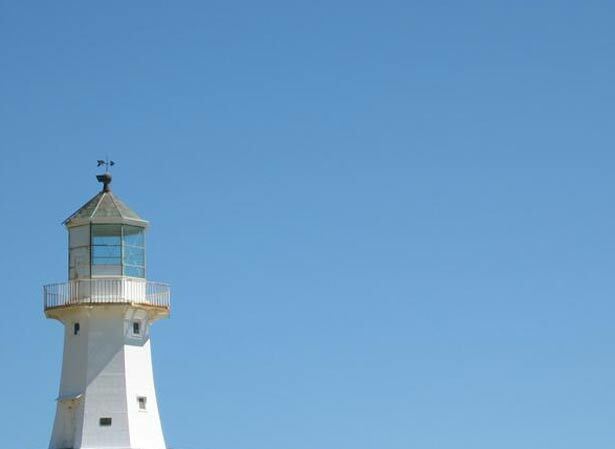 If building the lighthouse was difficult, operating and maintaining it was equally challenging. Over the following decades, numerous keepers and their families lived and worked in primitive conditions on the isolated, windswept headland. The lighthouse remains on Pencarrow Head despite not having operated as a navigational aid for more than four decades. Today it is a popular visitor destination and one of Wellington’s most important historic places. We have 1 biography, 7 articles, related to Pencarrow Lighthouse.